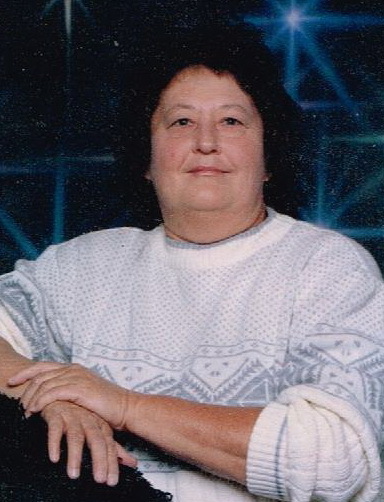 Janie Marie Melton Reeves, age 76, of Florence, passed away January 21, 2019. Visitation will be Friday, January 25, from 6:00 – 8:00 p.m. at Spry-Williams Funeral Home. The funeral service will be held Saturday, January 26, at noon at Word Fellowship in Killen, with Brother Roger Reed officiating. The body will lie in state from 10:00 a.m. until noon. Burial will be at Emmaline Stutts Cemetery. Janie was a member of Word Fellowship. She loved everyone, but was especially dedicated to her family. She was preceded in death by her husband, Buddy Reeves; daughter, Angela Moore; and parents, Pat and Marie Rogers. Survivors include her children, Lisa Miles (Donnie), Darlene Hill (Randall), Kim Schmit (Marvin), Chris Melton (Shelia) and Kayla Reeves (Bubba Brown); siblings, Wilma Sanford, Christine Weems, Mary Lash (Troy), Jimmy Rogers (Deloris), and Terry Rogers; and many loving grandchildren, great grandchildren, great-great grandchildren, and other extended family. Grandchildren will serve as pallbearers. The family would like to express their thanks to Amedisys Hospice for their loving care. loving woman I’ll keep yall in my prayers during this time.